Small businesses and startups need every advantage they can get, and convenience is one of the most powerful differentiators in business. Making life easier for your customers means you’re more likely to gain a sale and convince them to come back the next time they need your product or service. That’s why, despite the inconvenience they may be to you, accepting credit card payments can be one of the most important things small businesses and startups can do. Consumers use their credit and debit cards to make payments more often than ever today — to the point where the number of everyday purchases made with cash each day has dropped to less than 25 percent. The ability to complete a payment with a quick swipe or dip of a card makes credit card payments especially convenient for consumers. Yet, the complex infrastructure and regulatory environment behind the scenes makes them a big responsibility for merchants and businesses. Nevertheless, it’s essential for small businesses and startups to know everything they need to do and have in order to simplify the payment process for their customers. Businesses that choose not to accept credit card and debit card payments put themselves at risk of alienating customers who may feel inconvenienced by needing to have cash on hand. Any kind of inconvenience can drive away customers and create negative word-of-mouth that can be deadly to startups and small businesses. 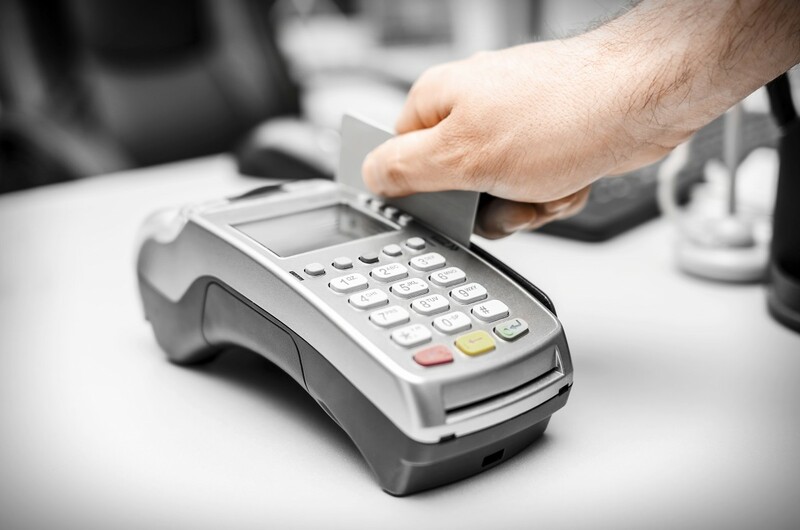 Thus, it’s imperative for these businesses to understand the infrastructure they need to have in place in order to accept credit card payments. For example, merchants need to do their homework before choosing the method through which they will accept card payments — including determining whether or not the software used to run their businesses has a payment-processing module that can be integrated into the infrastructure. With so many elements that go into the infrastructure through which merchants can accept card payments and the tremendous responsibilities merchants have in that regard, it can be difficult for small businesses and entrepreneurs to keep track of everything they need to do. 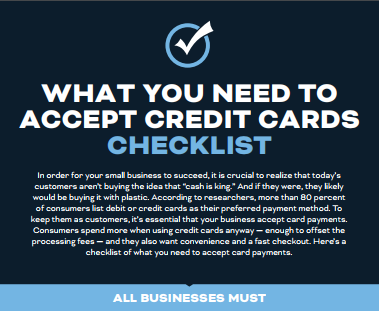 The following checklist provides these small businesses with detailed information about everything they will need to implement to build a proper system for accepting card payments. Review it, and you can start making life easier for your customers. Kristen Gramigna is Chief Marketing Officer for BluePay, provider of online and mobile credit card processing. She brings more than 20 years of experience in the bankcard industry in direct sales, sales management and marketing to the company.